For many roasters, seeing a GrainPro liner is a moment of excitement. 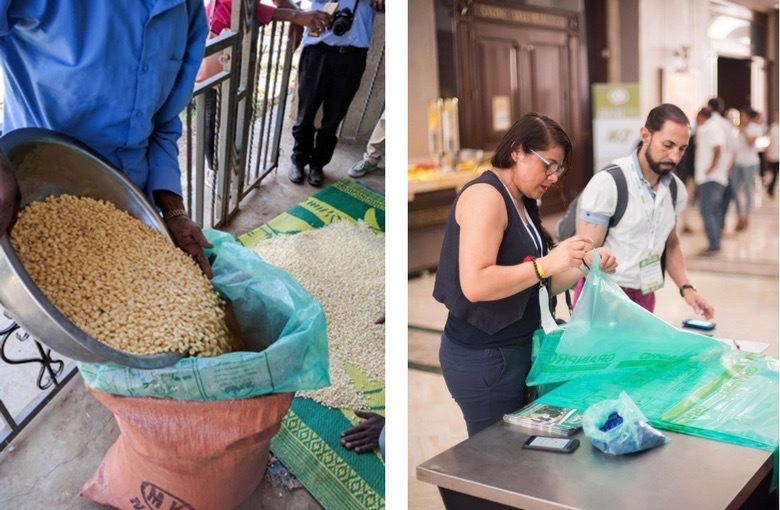 Upon receiving their green coffee from the warehouse, roasters open their jute bags to see their green beans—and if the order has been stored in GrainPro, they see their coffee nestled in the company’s signature green-tinted bags. These liners hermetically store coffee, which means they provide moisture and oxygen control in an airtight space. In turn, these liners preserve the freshness of coffee. However, GrainPro didn’t start out with the coffee industry in mind. The company’s bags were first used—as the name would indicate—to hermetically store and ship grains such as corn and rice. But in 2006 GrainPro started working with the specialty-coffee sector, storing and shipping coffee hermetically from Costa Rica. We’ve been partnering with GrainPro ever since. In the ensuing years, GrainPro has become a go-to product for quality-minded specialty-coffee professionals who want their green coffee to be as fresh as possible. 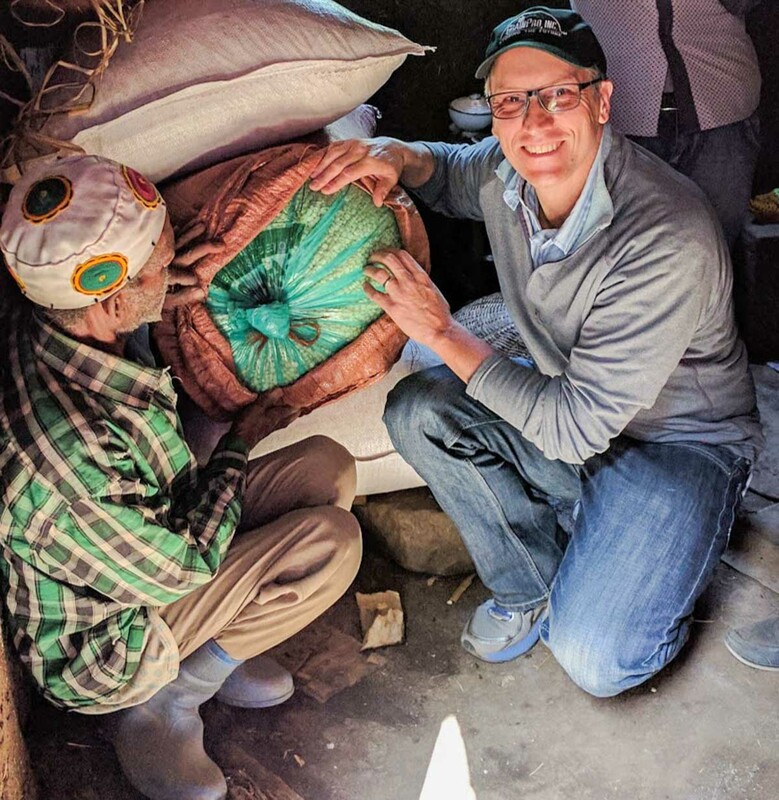 I talked to Jordan Dey, GrainPro’s Vice President, Food Security, about GrainPro’s devotion to quality, how the company has seen specialty coffee evolve, and some of GrainPro’s latest innovations. Liam Brody, Sustainable Harvest® President: What are some of the core benefits of hermetically sealed bags for green coffee? Jordan Dey: When green coffee is stored in a hermetic (airtight) environment, the color, aroma, and taste of the bean is maintained over a long period of time. In other words, the quality of the bean is protected—even when it’s sitting in hot, humid warehouses at origin, or stuck in a port in Latin America, Africa, or Asia. Additionally, once the coffee beans arrive in roasting warehouses, they can sit for months without being roasted and the quality will remain the same as at origin—generating a strong return on investment given the low cost of the liners. Liam Brody: How does hermetic storage contribute to maintaining quality? 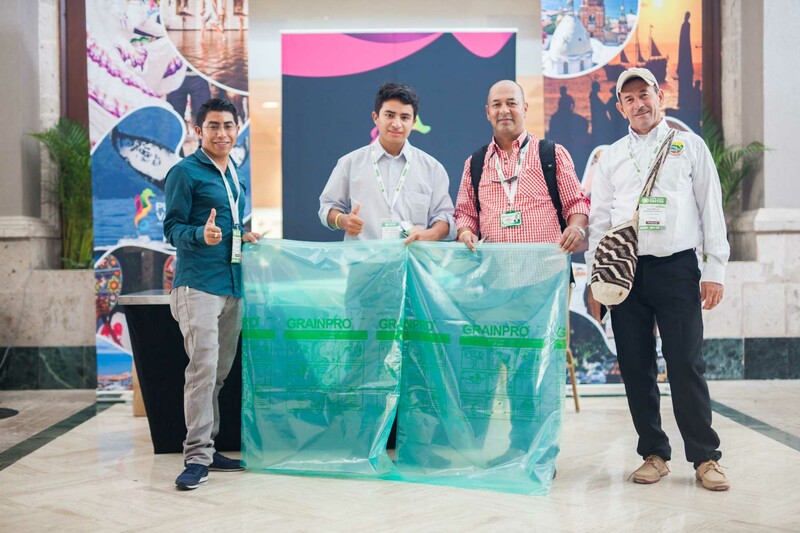 Jordan Dey: The GrainPro bag has a barrier layer that stops oxygen (and moisture) from entering the bag and interacting with the green coffee. The GrainPro bag essentially stops the quality deterioration of the bean (oxidation) that starts the moment the beans are harvested. So, in the past, if a bean was harvested in June, its shelf life might be a couple of months. Now, in a hermetic environment, the bean will retain its freshness throughout the year. For perspective, the GrainPro bag is 500 times more airtight than a traditional plastic (polyethylene) bag. An additional benefit is that an airtight bag kills all insects naturally—through suffocation—rather than using chemical pesticides. Airtight is an organic method for storage. Liam Brody: How have you seen the industry change since you've been offering GrainPro products? Jordan Dey: First, there's been widespread acceptance by the specialty-coffee community that hermetic environments are the best way to both store and ship specialty coffee. Before GrainPro, the traditional notion was that coffee beans needed to be stored in well-ventilated bags to retain freshness. So jute bags were seen as a great solution for decades—and consumers worldwide got accustomed to coffee with a stale taste. Second, there's been a much stronger focus on improving drying techniques, particularly in areas with challenging weather patterns (such as lots of rain or intermittent rains). Third, traditional coffee roasters are now learning from the specialty community about how best to create and maintain quality. This will, eventually, help all consumers have access to a better-quality coffee experience. Liam Brody: How are roasters and producers becoming more in tune with how better-quality storage options like GrainPro make their final product better? Jordan Dey: At this point, the evidence is conclusive that a hermetic environment is the best way to store and ship green coffee. From lab and field tests to cupping scores to the individual experiences of producers, traders, and roasters, the proof is there. What is unique about the specialty-coffee community is that there is a great tradition of sharing information and experience. Liam Brody: We were in Rwanda together recently visiting farms and attending Let's Talk Coffee® Rwanda. What was that experience like for you? Jordan Dey: It was incredible. I loved attending and presenting at Let’s Talk Coffee®. It is such an important gathering of the supply chain. Getting out to visit farms was a real bonus. Most of my experience has been with smallholder subsistence farmers, who generally grow maize, beans, and rice on a very small plot of land for household consumption. So, I had actually never seen the entire process of harvesting the coffee—from planting the seedling to harvesting, washing, drying, and bagging the beans. The Rwanda experience with Sustainable Harvest® and the Relationship Coffee Institute allowed me to see all of that at an extraordinary women's coffee co-op called Twongere Umusaruro. I enjoyed every moment, but the best part of the day was at the visit when the farmers roasted the green beans in a small pot over an open fire, then we did a simple cupping. Not only was the coffee fantastic, but many of the co-op members were also doing their first cupping. Everyone was laughing … and learning at the same time. It still makes me smile thinking about it. I believe subsistence grain farmers will be able to learn a lot from the recent experience of specialty-coffee farmers and cooperatives. 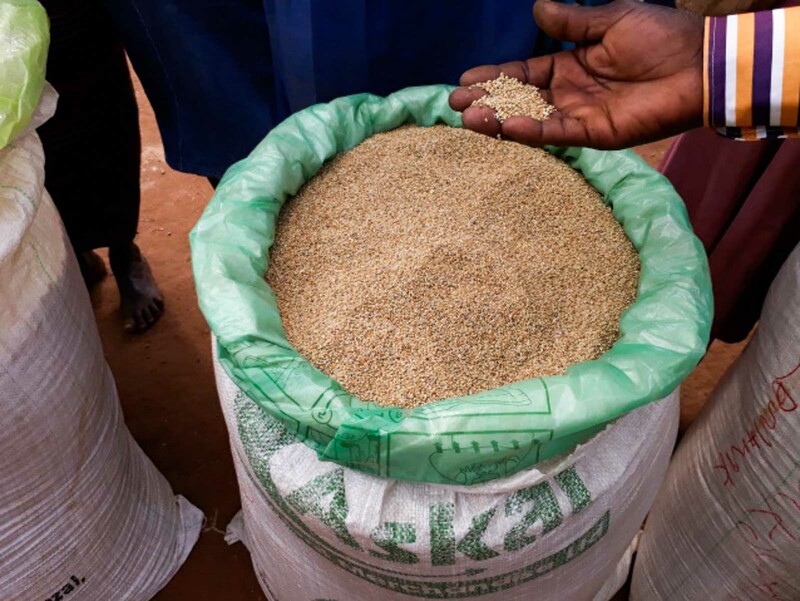 Focusing on crop quality can open up new markets and opportunities—even local and regional markets—that can help create income for smallholder farmers. There are 25 million smallholder coffee farmers in the world, but 500 million farmers of other food crops—such as rice, beans, cassava, and maize. If the lessons of the specialty community can be transferred to staple grains, we will make a serious dent in poverty levels globally. Liam Brody: Your company is best known in coffee for your liners, but what are some of the other relevant innovations currently on the market? The first is a simple solar dryer we call a Collapsible Dryer Case. 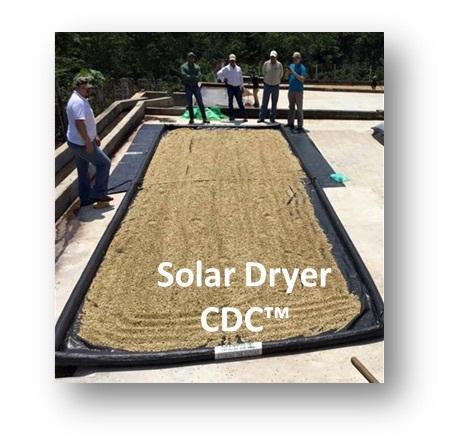 This dryer allows farmers to spread their green coffee on a protected surface, then close it when the rains come or at night when moisture comes. It’s portable and has raised walls to protect the beans from ground contaminants. 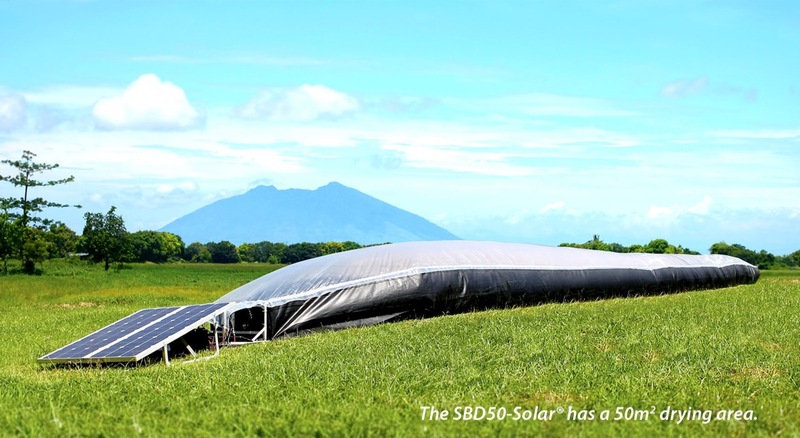 GrainPro also offers a more sophisticated Solar Bubble Dryer. This dryer uses solar energy to power a fan, evenly drying the beans. It has a permanent bubble cover, which protects the beans against unpredictable rains and field contaminants. The benefit of both dryers is that they are “green” technologies, reliant only on the sun's rays to dry coffee, not fossil fuels. Solar technology is not only more relevant for most rural farmers, but it can decrease costs while also reducing the carbon footprint of the entire value chain. Interested in sourcing Relationship Coffees packaged in GrainPro? Get in touch with us via the form below.